Three-owner Hutchison Whampoa has reached definitive terms to buy O2 from Telefonica in a £10.25 billion deal that will create the UK’s largest network with around 35 million subscribers. In January, the Hong Kong based company had entered exclusive talks with O2’s owners to buy the UK’s second largest network but Telefonica has now confirmed that it has agreed terms for the deal. It is the second acquisition of a UK mobile operator in as many months, following BT’s announcement in February that it had agreed a deal to buy EE for £12.5 billion. Hutchison will pay Telefonica an initial an initial £9.25 billion, with a deferred payment of £1 billion to be paid once the combined cashflow of Three and O2 has reached an undisclosed amount. After the execution of the deal, O2 UK will be reported as a discontinued operation within Telefonica, although it remains to be seen whether Hutchison will maintain the O2 brand. O2 is the UK’s second largest network (behind EE) with 24.47 million customers as of February. Three is fourth, behind Vodafone, with 10.29 million subscribers. Telefonica has been looking to sell O2 as early as December, entering talks with BT about a potential sale before the broadband provider opted to buy rival EE in a £12.5 billion agreement. In order to fund the deal, Hutchison is looking to sell around 30 per cent of the group to outside investors for around £3 billion. 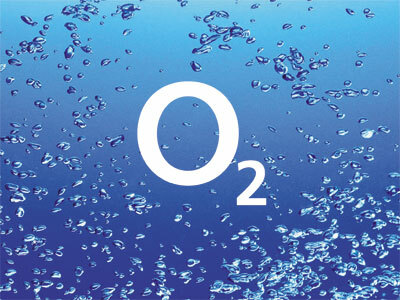 Any agreement to merge O2 and Three would likely face close regulatory scrutiny as it would bring the number of mobile operators in the UK from four to three. Telefonica said that the deal could take up to a year to gain approval, which will come from the Markets and Competitions Authority in the UK and from the European Commission Anti-trust authority. Similar consolidation in Ireland, where Three also bought O2, Germany and Austria has achieved approval, albeit with some concessions such as giving up spectrum in order to support new MVNOs. In its statement, Telefonica said that the conditions of the deal must be satisfied no later than June 30 2016, save certain circumstances (not specified) in which that date can be extended to September 30.